I got this not knowing it is as if I never lost my tablet charger. 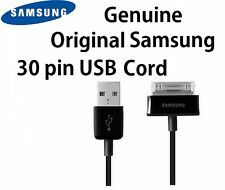 Exact Samsung charger is not a cheap knock off. Don't waste time on the website getting a replacement when you can get one here. 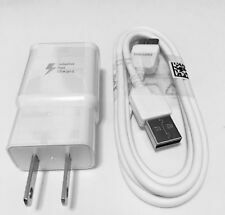 It is a actual Samsung charger..has the Samsung brand on base of cord. Works perfect! Works with the Samsung tablet charger dock too just the same. After 5 minutes of connecting this charger to my Samsung tablet it's start getting warm. After 10 minutes it came very hot. USB plug was so hot I could not keep it in my hand. For sure I am not going to use this charger for any device. Not sure how long it will last. Very nice and easy installation. Recommend watching Utube for instructions. Battery is working very well with no issues. Please note, it will take at least 7-8 full charges and discharges before battery is stabilized. This charger is one of the only ones that work with my samsung 10 tablet. (I tried several others but they all did not have the power to charge it quickly ( all of the other ones I tried gave the message that the tablet would charge slowly and to use the original that came with the unit). Good price, fast delivery and works just fine after several uses. It does get a bit warm when in use but cools right down after the tablet is 100% charged.